Because rhinestones and cubic zirconia both sparkle like diamonds, they are used to adorn jewelry and accessories such as belts, bras, and even cellphones. 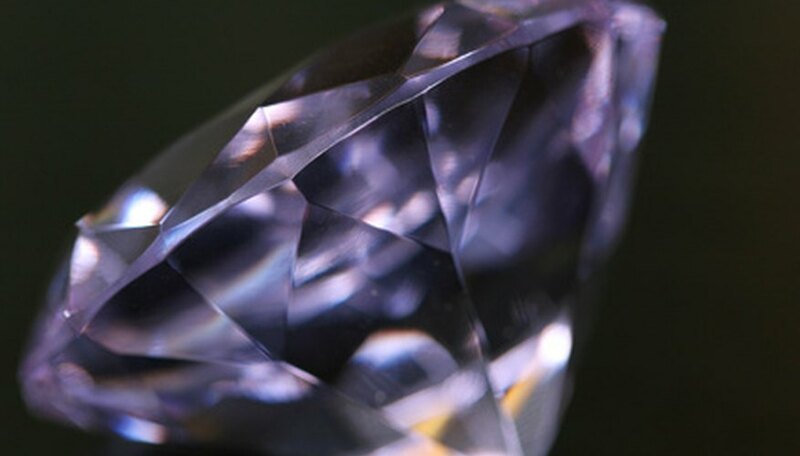 Though they can be easily confused, these two gemstone subsitutes actually have very little in common, in terms of price, manufacturing, and durability. Rhinestones are typically made from naturally occurring quartz crystals, while cubic zirconia are synthesized in laboratories. The biggest difference between rhinestones and cubic zirconia is in how they are made. The first rhinestones came from quartz crystals from the Rhine River in Germany, hence their name. The highest quality rhinestones are still made from cut quartz crystals, though more inexpensive rhinestones can be made out of glass, acrylic, or paste. On the other hand, cubic zirconia are synthetically made out of zirconium oxide to simulate the appearance of a diamond. These imitation gemstones are not true minerals. When making jewelry out of rhinestones and cubic zirconia, manufacturers generally set the two in different types of metal. Rhinestones are usually set in brass to take advantage of the reflective quality of the metal backing, which gives the rhinestone its sparkle. Since cubic zirconia resemble diamonds and don’t require extra help to reflect light, these gem substitutes are frequently set in precious metals such as gold and silver. While neither rhinestones nor cubic zirconia are as durable as a diamond or other hard gemstone, a rhinestone can be damaged more easily. Since rhinestones require a metal backing to sparkle, their backs will tarnish over time. They can also be damaged by moisture. Over time, cubic zirconia may yellow or chip, but they can get wet without losing their sparkle since these gem substitutes are set in silver or gold. However, the silver setting may tarnish. Rhinestones generally cost less than cubic zirconia since they are made out of a variety of different materials, with those made from cut quartz costing more than those made from plastic. You will likely pay more for a cubic zirconium since it generally resembles a diamond, is set in a precious metal, and must be manufactured in a laboratory.